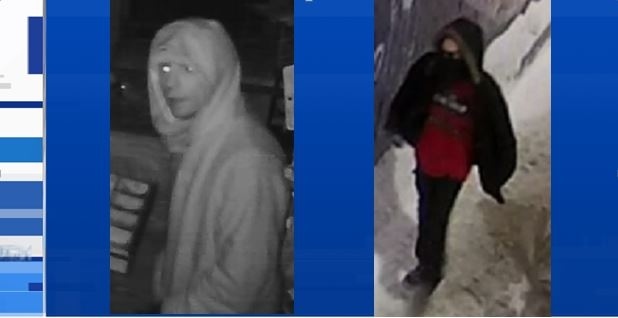 North Bay police are appealing to the public to help identify a pair of suspects wanted in the burglary of a business located on Main Street West. Police say they received an alarm call on Monday, February 4, and when officers arrived, they saw signs of a forced entry. Officers say they have determined two suspects entered the store and stole multiple items, including: collectible coins, money and jewelry. The value of the items taken has not yet been determined. The police forensic unit has been called in to assist with the ongoing investigation. Anyone who knows the identity of the suspects or has any information that may assist police with this investigation is asked to call the North Bay Police Service at 705-497-5555. Detective Constable Shepstone is investigating.